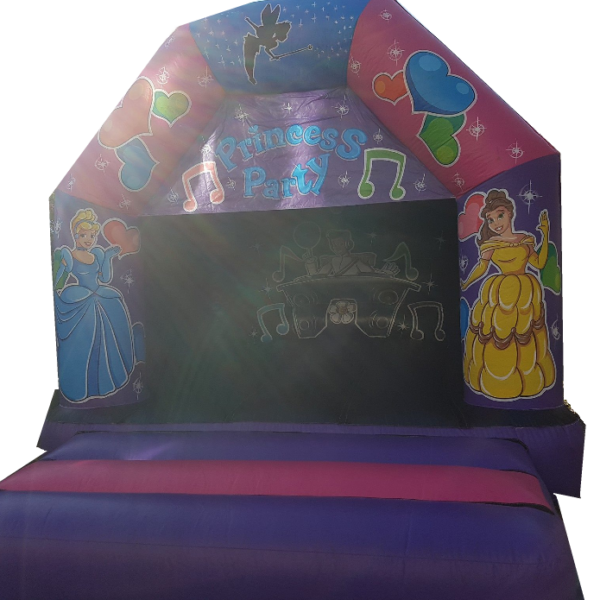 This popular Princess Themed Bouncy castle also contains a bluetooth music and disco lights system for a dance and bounce! 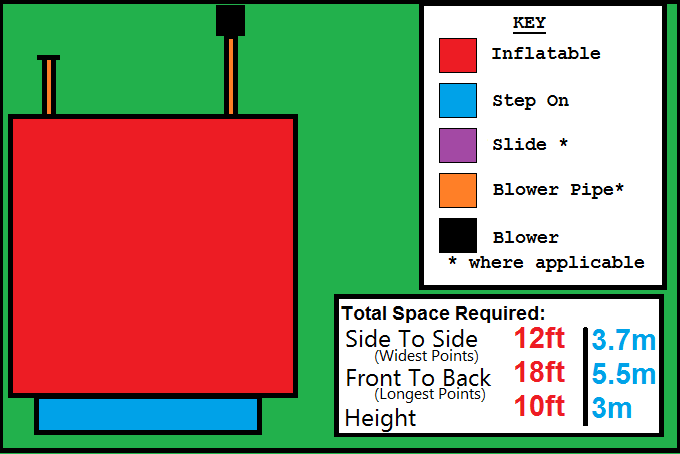 Simply hook up your Bluetooth device (phone or tablet – staff will show you how!) 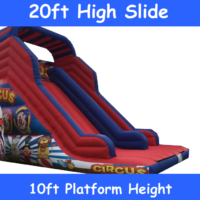 and away you go! 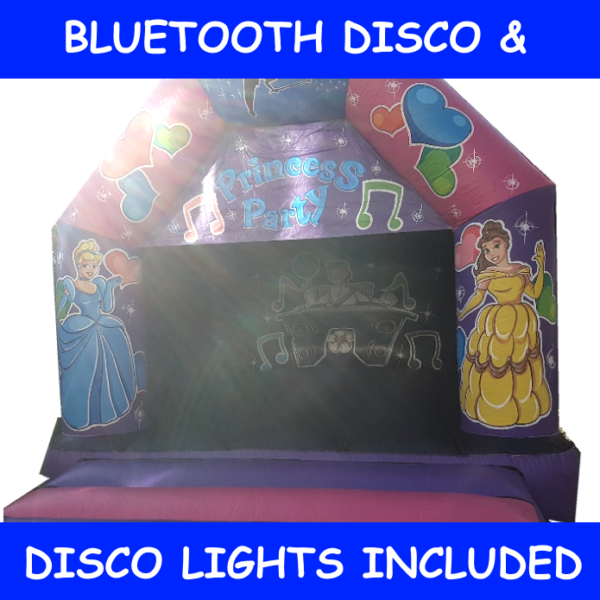 Perfect for your little Princess and all her prince and princess friends. 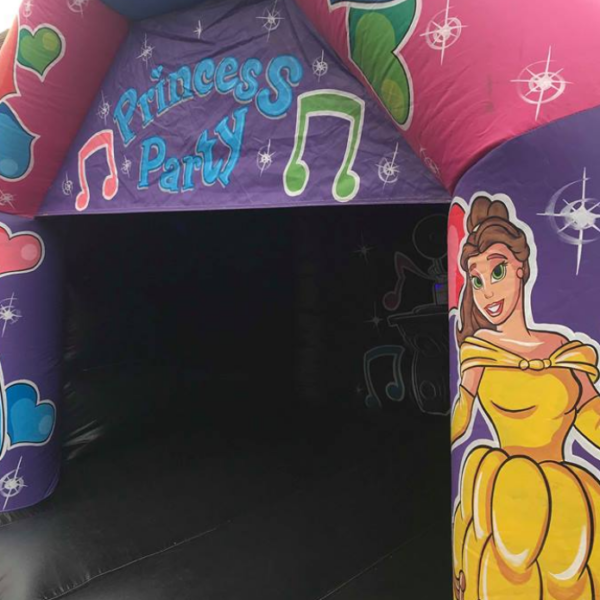 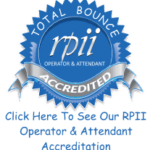 Total Bounce bouncy castle hire are proud to offer you this Princess disco bouncy castle ready to be hired out throughout the South west of England including Weston-super-Mare, Burnham-on-Sea, Bridgwater, Cheddar, Clevedon, Taunton, Nailsea, Glastonbury, Long Ashton, Street and surrounding. 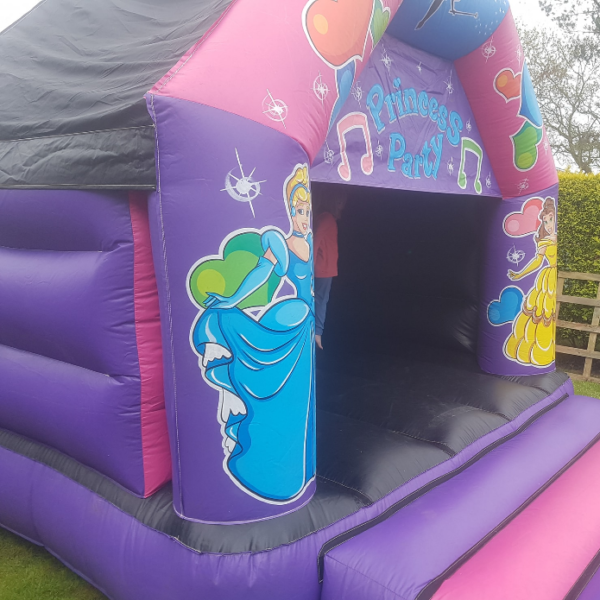 This amazing Princess Disco bouncy castle is the first one to be hired in the South West of England it is a very bright and colourful castle and features purple, pink and blue colours on the outside of the inflatable and black inside which helps show off the disco lights when partying away. 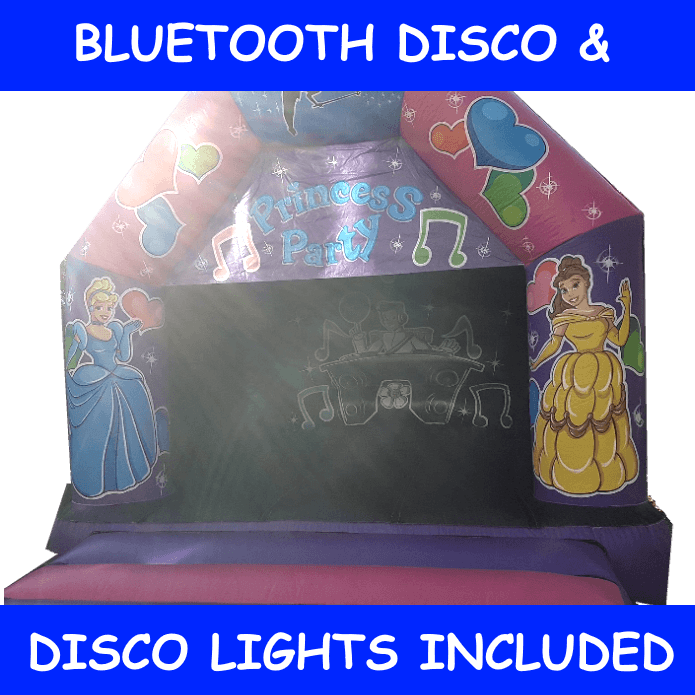 On the back panel you have prince charming on the decks and on the front panels you have Elsa, Arna, Cinderella, Bell and Tinkerbell. 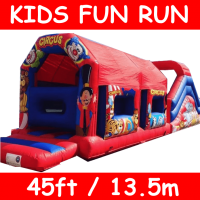 This lovely inflatable also features some extra safety features including been fully enclosed on the back wall to stop people trying to climb over. 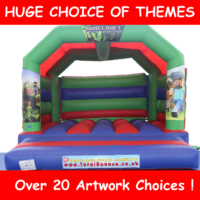 Our inflatables are built to the European standard BSEN14960:2013 – This inflatable is suitable for all ages of children up to teenage years. 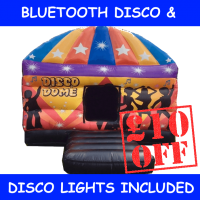 Many Toddler Groups take advantage of this hire throughout the week, whereby we can offer special group discounts on a few days mid week hire!